There's a well-produced video interview with some interesting tidbits, and some high-res alien art I don't think we've seen before. Awesome! The article shows us a piece of art that didn't make it into the game or the manual - the destruction of Syra. And by the way, Paul's desire to give SC2 at least some degree of scientific accuracy paid off. I still remember catching a glimpse of the periodic table in a chemistry classroom at school and seeing so many familiar names that I remembered from SC2 - the lanthanides especially. And before anyone asks, I was smart enough to understand that Tzo crystals didn't exist in the real world. The name itself is kinda a giveaway. By the way, I wonder what that SC1 ship balance chart in CGW was based on. It seems so wrong based on player vs. computer battles, where the Mmrnmhrm just owns everything, though that could be chalked up to the AI being completely braindead. I have no idea what SC1 games are like in player vs. player matches, especially the full game. And indeed, TZO crystals were obviously not existant. There are other things named in-game where I thought "really? ", but hey, it's fiction. And fiction does not need to be accurate. Playability trumps scientific correctness (to a degree). Thanks for the link, Mormont! I would've missed it otherwise. Hey, in the video Paul named the rainbow planets "alien waste dumps"... Did he give that information to the SC3 writers, or did he take it from there? Oh, and I LOVED Fred's keyboard configuration tool with the key jam tester. I used it to reconfigure so many keys in other games by testing the keyboard jamming in his tool and then setting the keys in the other games. love the gimmick of Fwiffo being on the photo, under the desk. I find the flow diagrams very interesting. I presume the article only contains so many of the original design materials because FF and PR had digged them out for the courtcase anyway. But in gathering the footage for this video, we realized that Fred and Paul were a veritable fount of '90s game design stories and that the two of them are connected in a fascinating web to a bunch of other influential developers of the era. There was no way we could pack all of this into a single video, and so we're deep in production on another video piece we're tentatively calling "Six Degrees of Star Control," which we expect to have done in a few more weeks. can someone be so kind to link it here when it gets published? Thanks in advance! Hey, Paul named the rainbow planets "alien waste dumps"... Did he give that information to the SC3 writers, or did he take it from there? I suspect that even garbage from the Precursors would be of incredible value. Forgot that the Spathi were giving you access to their waste disposal, but being helpful, forgot to mention where to find them. Very nice interview... I like how they first had made the ships as different as possible and then tried to figure out what kind of species would fit the ships. Sounds like a very smart strategy. No, really, they were. The quote I gave above is from the Safe Ones conversation, not one with the Spathi captains in space. Really enjoyed this. You can tell there's a lot of really interesting ideas that never made it into the final game. I wonder how many of those were because they weren't fun or interesting in practice, and how many were just too tricky to implement. I wonder if P&F have any more ideas up their sleeves, 30 years later. Yeah, I recall Paul mentioning earlier that when he was coming up with a concept for the Druuge, he basically thought that if they used their crew to feed the ship's batteries, then the crew must be slaves. I learned the planets in our solar system from Star Control 2. I found it interesting when he said that it wasn't known in 1992 when they made Star Control 2 that other solar systems have planets. I guess most of the kids that played Star Control 2 back then started believing this long before the exoplanets were discovered. What do you mean? 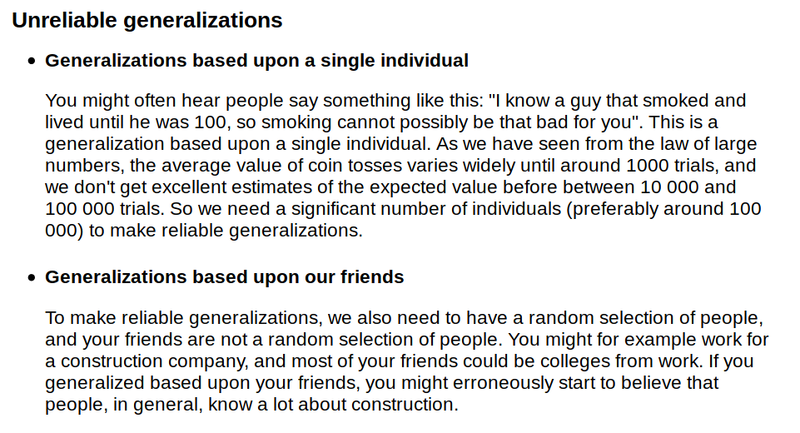 Probabilities are based upon frequencies in randomized subsets generalized to larger sets. Since we didn't know anything about the probabilities for exoplanets in a randomized subset, how could we determine the overall frequency of exoplanets? It is the same with life now. Since we don't know the frequency of life from a randomized subset of planets, we cannot necessarily estimate the frequency of life in the universe. Well the expectation was that other stars had planets, we even had predictive models for which ones did and what kind, but it hadn't been proven since we didn't have a way to detect or observe at the time. It would have been a much bigger shock if none of the stars we were observing now had planets after all. Of billions other solar systems we knew not enough to exclude the existence of planets. But how likely would it have been that all the billions systems out there have a total number of planets smaller than our system has? Math probability dictated that there are billions of systems out there having planets. The real question always was how many would be able to support life, and how many of those would be able to support intelligent life, and how many of those would be able to interact in a meaningful way with us.